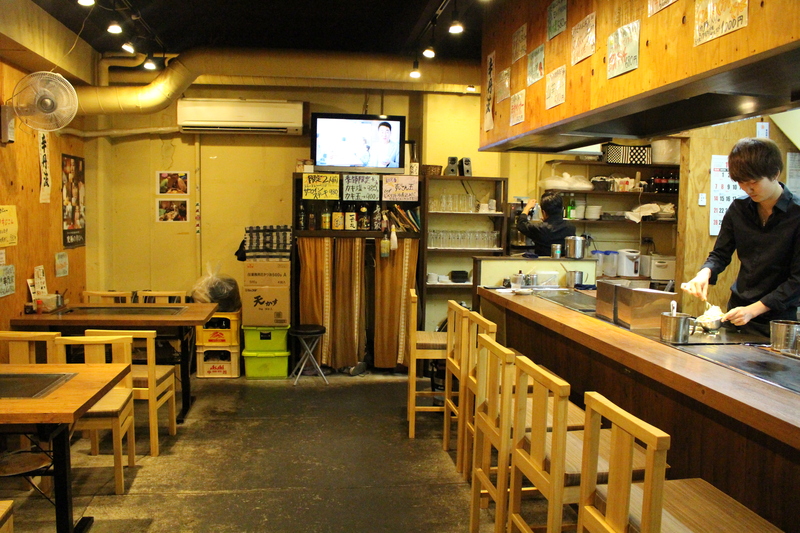 Today I introduce a so nice teppanyaki and okonomiyaki shop 「おりがみ」(Origami). It takes a few minutes on foot from SEKAI HOTEL Nishikujyo front desk. 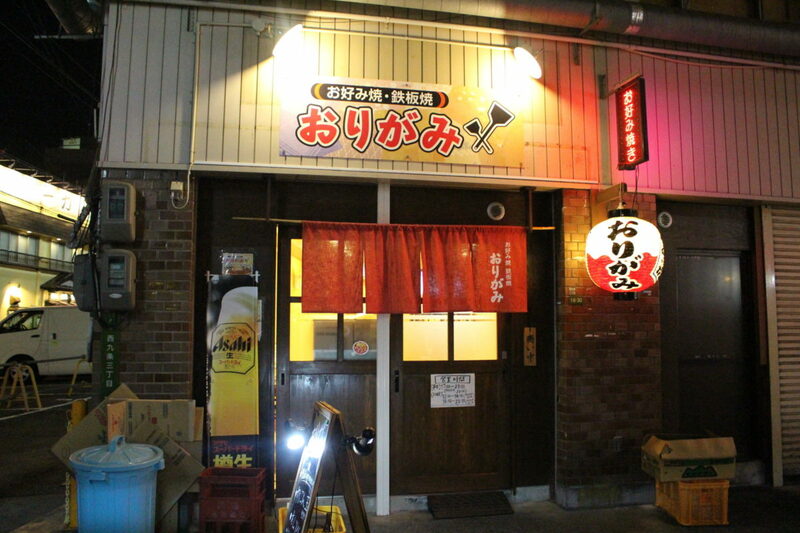 Now, let me explain about teppanyaki and okonomiyaki. 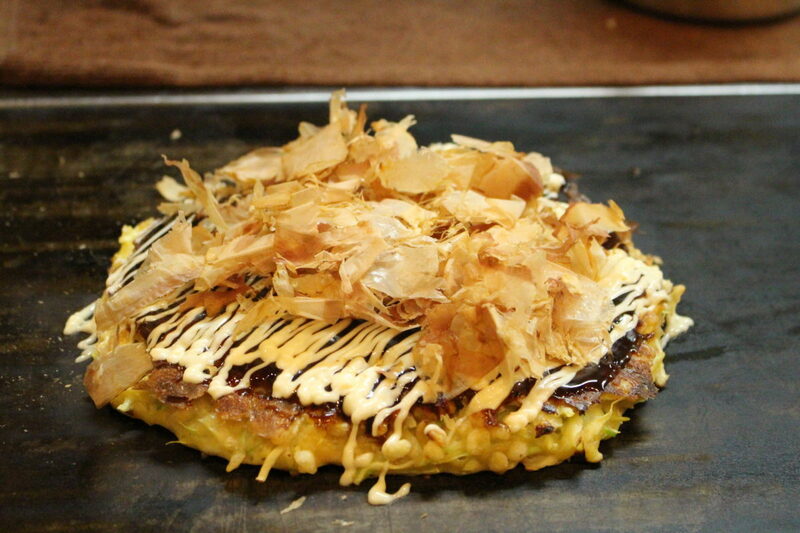 Okonomiyaki is known as a kind of Japanese-style pancakes or pizza. As “okonomi” means “what you like” or “what you want”, you can add your favorite ingredients in there. (dried bonito flakes), and more. In Japan, okonomiyaki is mainly associated with Kansai or Hiroshima areas, but is widely available throughout the country. Toppings and batters tend to vary according to region. You see, Paper lantern is indicating the shop. There are six counter seats and three tables with an iron plate. 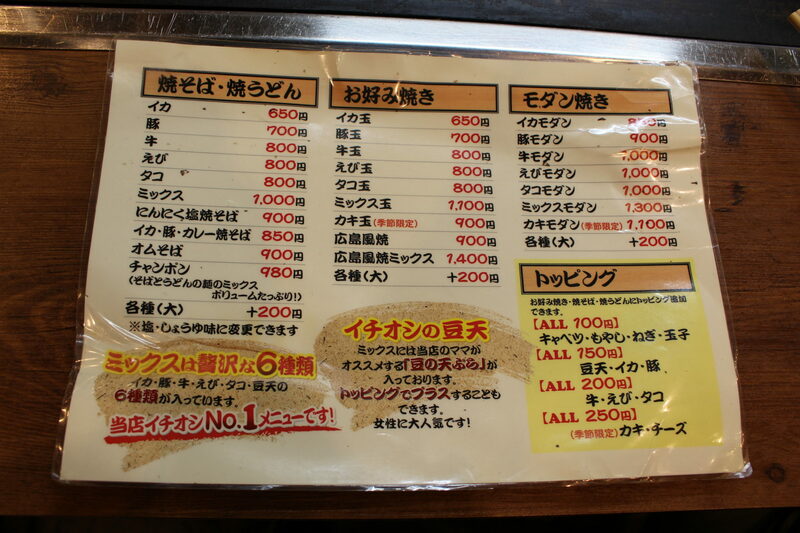 There are many kinds of appetizer, yakisoba(fried nodle) and of course okonomiyaki. Also, you can add toppings such as octopus, squid, pork and so on! I ordered Mix tama now. This is so rich okonomiyaki cooked with octopus, squid, pork, beef, shrimp and beens tempura. They recommend okonomiyaki with beens tempura because it’s unique ingredient in Nishikujyo. I asked owner’s thoughts about shop. “I wished … want make this place to be happy and comfy for all guests.” she said. 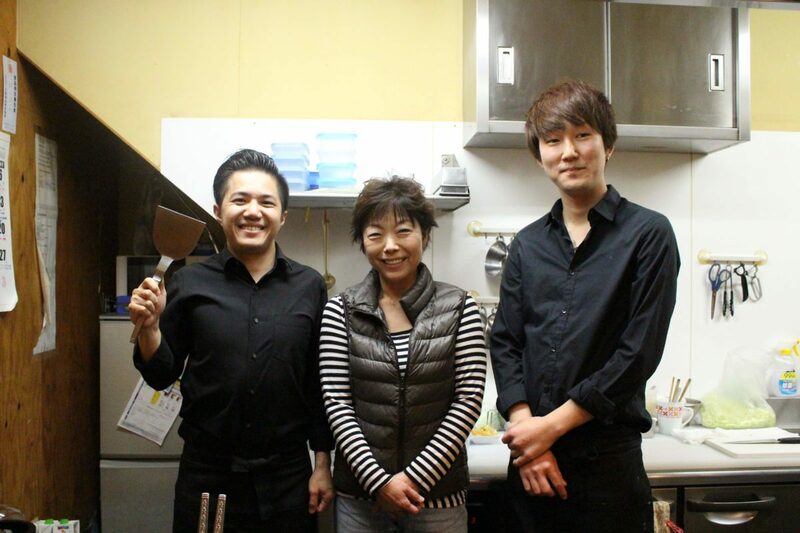 As she mentioned, there are always nice regular guests for enjoy eating and chatting with big smile. New taste of beens tempura! You see! This is Okonomiyaki!! t’s very hot, soft, crispy and full of ingredients as you see!!! You should try this amazing texture and taste. I highly recommend going to origami! Pretty nice owner would support you.